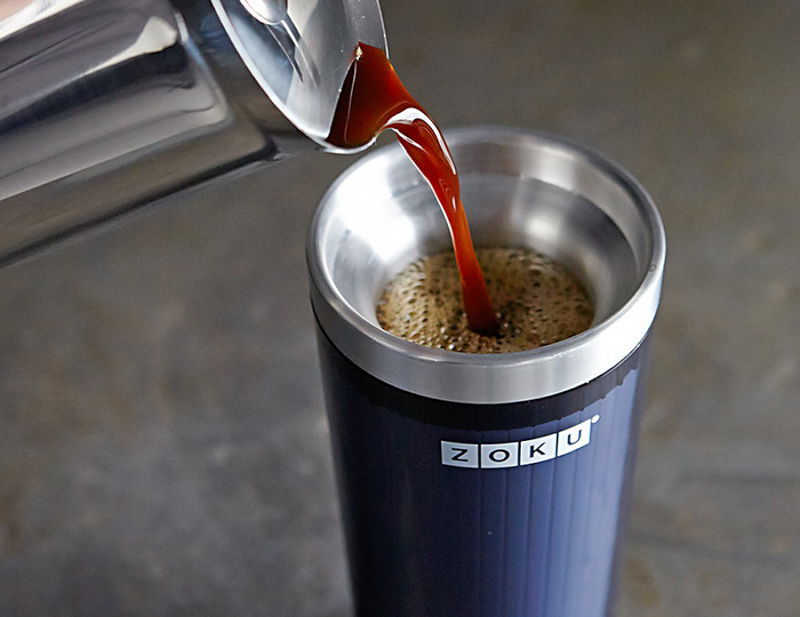 Get your java exactly how you like it with the Zoku Iced Coffee Maker Travel Mug. 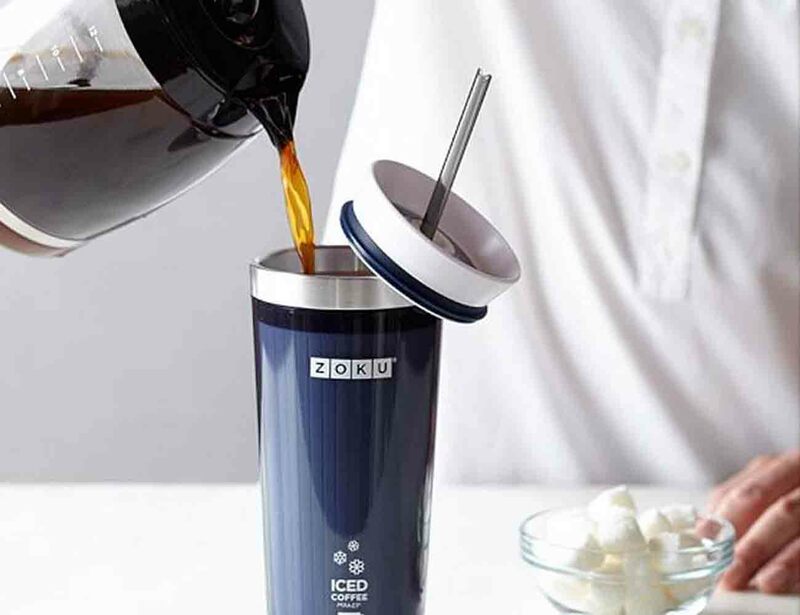 This amazing mug is able to transform your coffee, tea, or other hot beverage into a cool, iced version in just minutes. 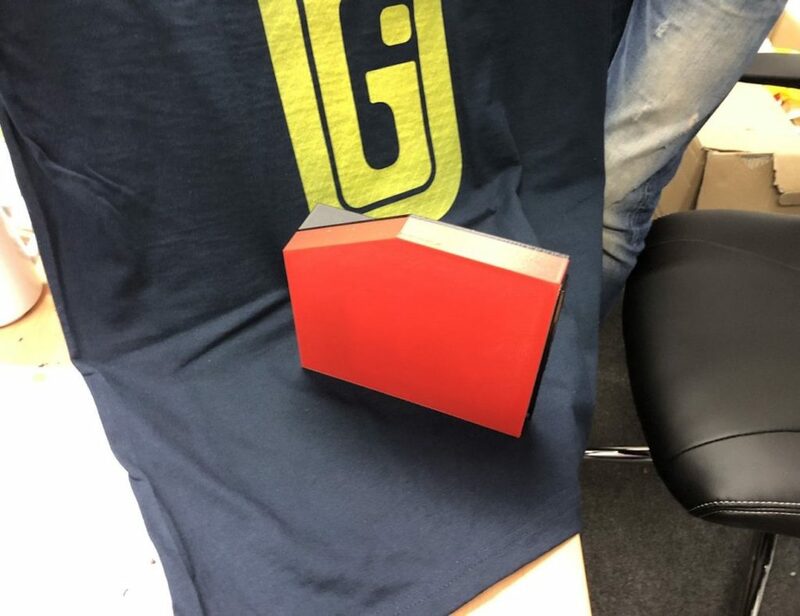 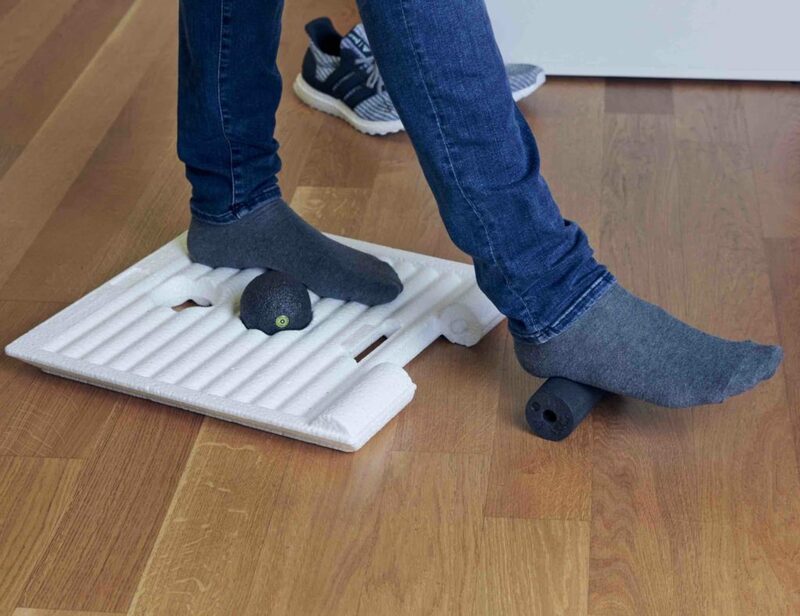 Inside the mug is a cooling core that you keep in the freezer. 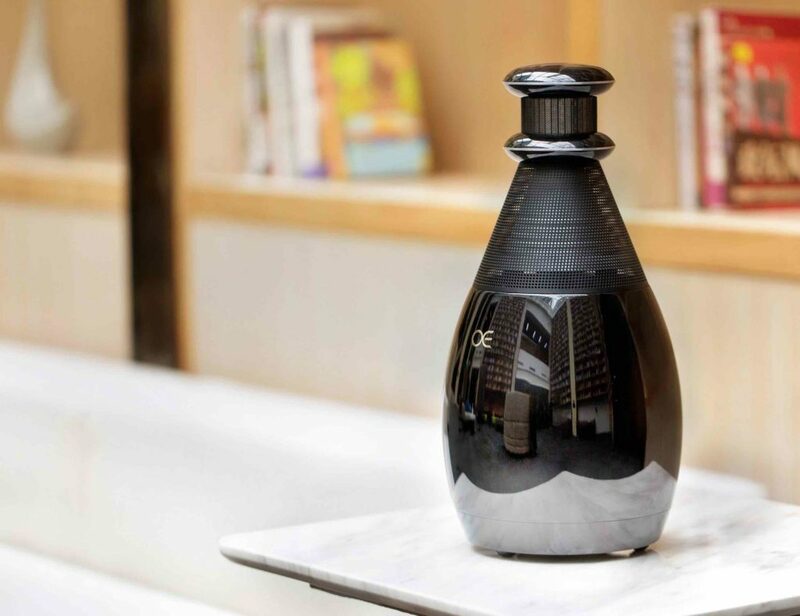 When you’re ready for your drink, re-assemble, pour in your hot beverage, and in minutes you’ll have perfectly chilled coffee or tea. 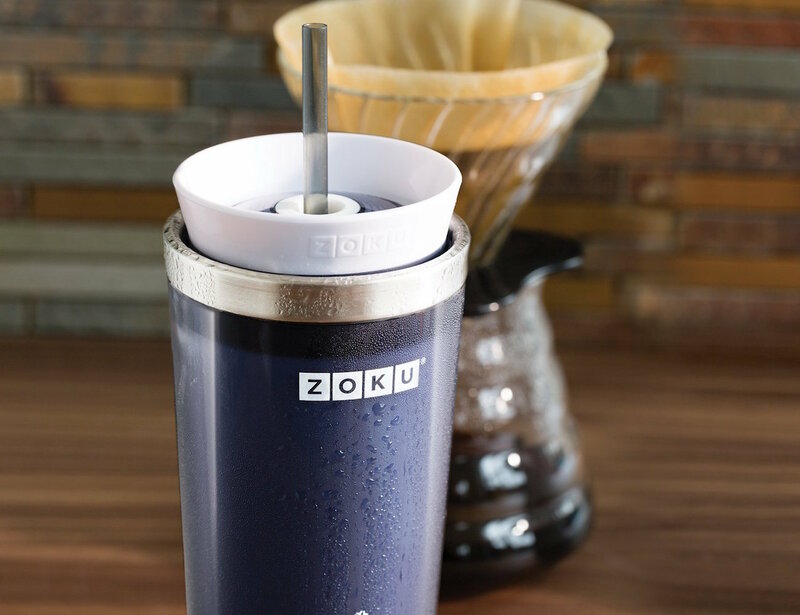 Best of all, the Zoku Iced Coffee Maker Travel Mug doesn’t water down your drink like adding ice would do. 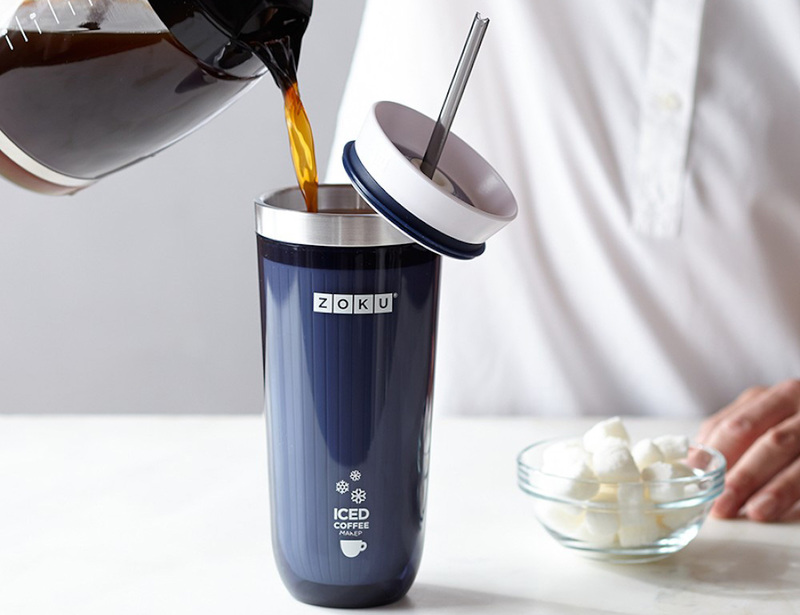 Great for the unexpected hot day or just a way to spice up your routine, the Zoku Iced Coffee Maker Travel Mug is something you won’t be able to live without. 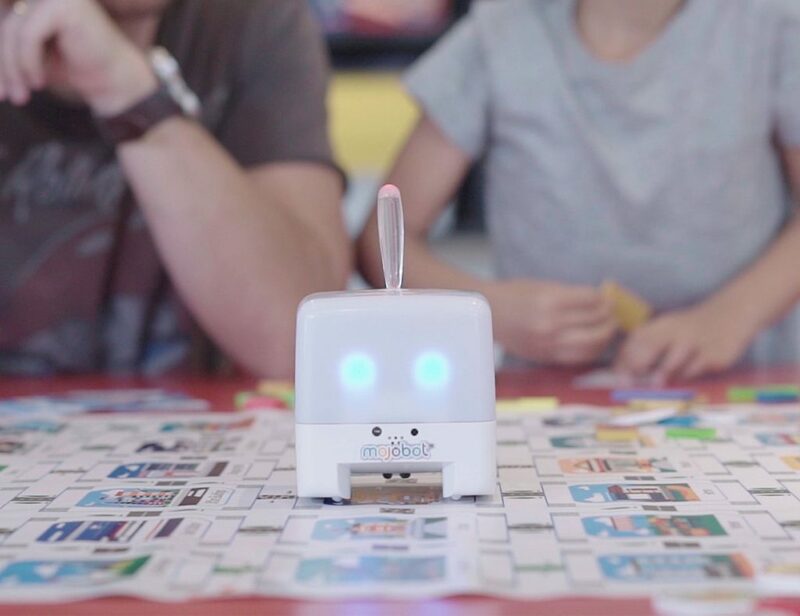 Easy to clean, store, and use, it’s available in your choice of red, purple, navy, and teal.